"Sampath Speaking" - the thoughts of an Insurer from Thiruvallikkeni: poor of Manila, Phillipines live in make shift homes inside concrete pipes ... and Madras !! 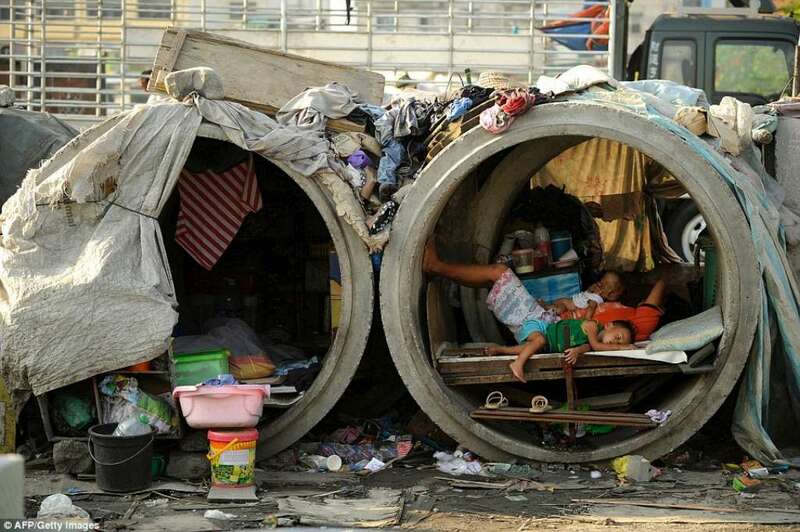 poor of Manila, Phillipines live in make shift homes inside concrete pipes ... and Madras !! Does this photo tell you something ? தொண்டை நாட்டுக்கும் சோழ நாட்டுக்கும் இடையில் உள்ள திருமுனைப்பாடி நாட்டின் தென்பகுதியில், தில்லைச் சிற்றம்பலத்துக்கு மேற்கே இரண்டு காததூரத்தில், அலை கடல் போன்ற ஓர் ஏரி விரிந்து பரந்து கிடக்கிறது. அதற்கு வீரநாராயண ஏரி என்று பெயர். அது தெற்கு வடக்கில் ஒன்றரைக் காத நீளமும் கிழக்கு மேற்கில் அரைக் காத அகலமும் உள்ளது. காலப்போக்கில் அதன் பெயர் சிதைந்து இந்நாளில் ‘வீராணத்து ஏரி’ என்ற பெயரால் வழங்கி வருகிறது.புது வெள்ளம் வந்து பாய்ந்து ஏரியில் நீர் நிரம்பித் ததும்பி நிற்கும் ஆடி ஆவணி மாதங்களில் வீரநாராயண ஏரியைப் பார்ப்பவர் எவரும் நம்முடைய பழந்தமிழ் நாட்டு முன்னோர்கள் தங்கள் காலத்தில் சாதித்த அரும்பெரும் காரியங்களைக் குறித்துப் பெருமிதமும் பெரு வியப்பும் கொள்ளாமலிருக்க முடியாது. ஆடித் திங்கள் பதினெட்டாம் நாள் முன் மாலை நேரத்தில் அலை கடல் போல் விரிந்து பரந்திருந்த வீர நாராயண ஏரிக்கரை மீது ஒரு வாலிப வீரன் குதிரை ஏறிப் பிரயாணம் செய்து கொண்டிருந்தான். அவன் தமிழகத்து வீர சரித்திரத்தில் புகழ்பெற்ற வாணர் குலத்தைச் சேர்ந்தவன். வல்லவரையன் வந்தியத்தேவன் என்பது அவன் பெயர். Sri Vaishnavaites have more to know about this lake. The Veeranam lake derived its name from the nearby place ‘Veera Narayana puram’ which is of great significance to Srivaishnavaites. It is here that our Acharyars Nathamunigal and later Sri Alavanthar were born. This is no post on history or story – but on a desperate place to call home: MailOnline has this article with heartrending pictures showing families forced to live in pipes in Manila's sprawling slums. 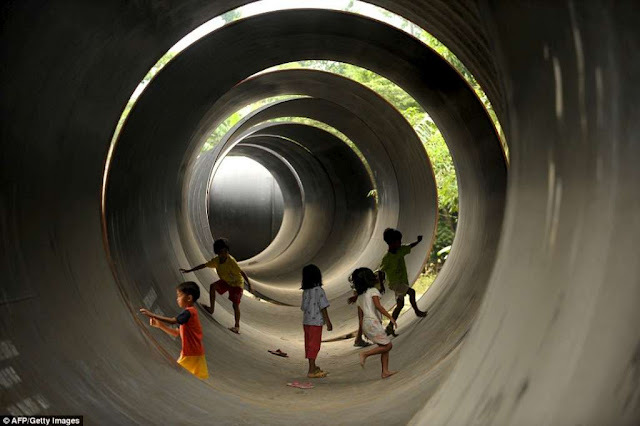 Cramped, dirty and without even basic of facilities, these concrete pipes are the most unlikely of homes. But for the desperately poor of the Philippines, they offer a tiny refuge. Families can be seen sleeping and sheltering inside the structures lining the streets of Manila as young children play on the filthy floor. Some have tried to create privacy by draping fabric over the entrance. Makeshift beds are formed from wood jammed across the pipes while washing hangs from string. Many of the Philippines' desperate citizens dwell in whatever makeshift shelters they can find in the slums in Manila, including concrete pipes. Roughly one quarter of the nation live in poverty, which is defined as surviving on about one US dollar a day. The Philippines has been one of the fastest growing economies in Asia for several years. But despite increased government efforts to raise living standards, the country of more than 100 million still faces considerable challenges including its vulnerability to typhoons and other natural disasters, poverty, corruption and poor infrastructure. The country's inexhaustible list of natural disasters is largely due to its location along the Ring of Fire, a basin in the Pacific Ocean where a large number of volcanic eruptions and earthquakes occur. The Philippines is hit by an average of 20 typhoons a year, many of them deadly, with the strongest often happening towards the end of the year. Statistically many typhoons have devastated Manila the city resulting in hundreds of deaths. The flooding, which was neck-deep in some areas, forced tens of thousands of people to flee their homes for high ground. World Bank has given the country money a couple of times to help deal with such catastrophes. The reports has photos of people living inside those cramped concrete pipes ……..
…back home – the photos bring back different kind of nostalgia at least to those middle aged. In 1967, C.N. Annadurai, then freshly elected Chief Minister of the State, mooted the idea of supplying water to the capital city from Veeranam. He died in 1969 and it was left to his successors to execute the plan. The project, estimated at Rs. 21 crore, was then the biggest to be sanctioned in independent India. The contractor put up a plant at Tirukazhugukundram in collaboration with a Greek firm for making the pre-stressed concrete pipes. What followed reflected no credit on any of the parties involved. There were allegations of corruption, delays in sanctioning foreign exchange and quality issues. With the DMK government being dismissed in 1976, the matter was taken to court, and in the middle of it all, the contractor suddenly died. The pipes were abandoned all along the Cuddalore-Madras route and were put to good use — entire families were raised in them, sadly portrayed in magazines time and again, as living houses for the poor. The project languished thereafter for over three decades only to be revived in 2000, and by then, the cost had ballooned to Rs. 720 crore. The local ryots were none too happy at the metropolis guzzling their precious resource, but water began flowing into Chennai in 2004. More than 3 dozens of years after it was first conceived, the Veeranam project, which was to deliver water to the parched metropolis of Chennai, finally started delivering water to metropolis. Presently, the city gets water to Porur lake from Veeranam as seen from the daily storage details in Chennai Metropolitan water supply and sewerage board’s website. So have you seen Veeranam pipes ?